Commercial organic materials are banned from disposal in the Regional landfill. Businesses and organizations affected by the ban are required to collect compostable materials separately from regular waste and send them to a licensed composting facility. 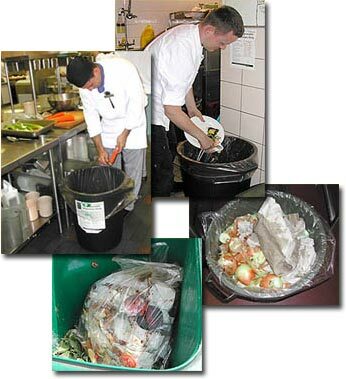 Compostable materials may be collected in a bin without a bag or liner. If you choose to use a bag it must be compostable as they are designed to break down during the composting process at International Composting Corporation's facility.